I created the 'frame' on a separate white layer - I just used the same 3 copic markers I used for the balloons, and with the thicker end, created little squares (the 'inside' edges are ragged and ugly but they're hidden under the top white panel). I'm posting early because I have to go to court on Friday to find out if I'm going to be a member of a Jury for the next two months. I should know by the end of the day. Wish me luck! Ardyth this is fantastic! It doesn't matter how you ended up there you did and it rocks! Do you want to do jury duty or not do it? This is fantastic ~ love the brightly colored balloons and the frame is phenomenal. Hope you get the answer you are looking for tomorrow. Wishing you luck, for sure--I've only been called once & didn't get picked. 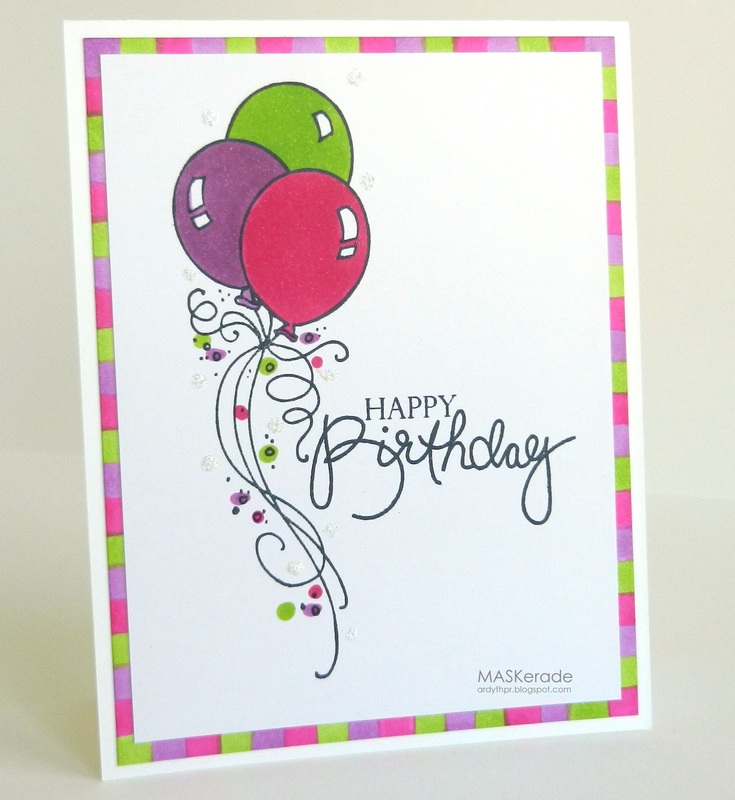 Terrific card--so cheery & wonderful use of the Muse card elements. Great take on the inspiration card! Yep, I follow you! Love hearing how you ended up with your results. REALLY love your stripey/dashed frame! Yep, easy to see the thought process - love your take on the muse inspiration, and I love the cascading pops of colour and bling entwined in the balloon strings. Love the combo of colours...very cute. Super cute and I love the colors! Beautiful! I love where your creativity took you with this card - the thought process was completely logical to me! Good luck (or not) with the jury selection! What a fabulous card! I love the way you used your Copics for the background border! I love what you came up with, but then I always do. Good luck with jury duty. Mine was canceled all together and my age will prevent me from ever serving now. I kind of wanted to but the timing was not good. 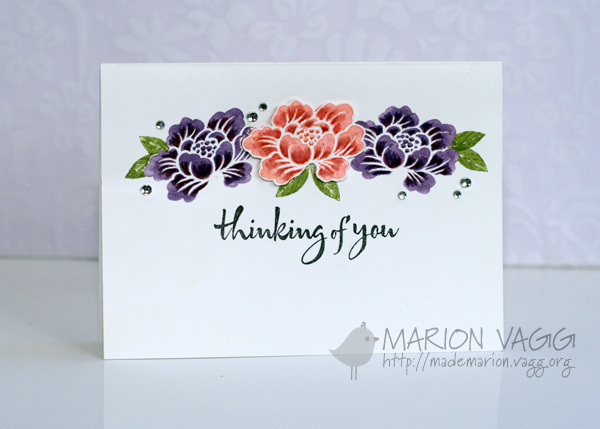 I think your take on the inspiration card is just fab! I can certainly see how you got to your card - love the touch of sparkle! Any news on the jury duty! Good luck! I love your take on this weeks challenge card...your colors are so bright and so very festive...so much fun!